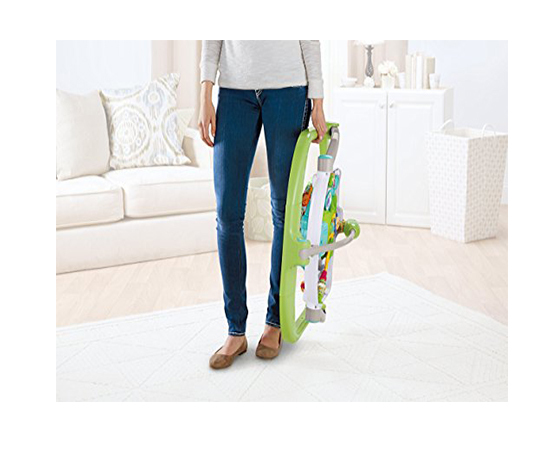 Baby's favorite Fisher-Price Rainforest Friends are ready to play on the soft-sided activity toy arch-with even more sensory-stimulating activity toy play right at baby's fingertips. More bouncy, jumping, motor-skill-building Jumperoo fun for baby than ever-in a portable, height-adjustable, space saving design! - Rewards baby’s jumping with lights, sounds and music!